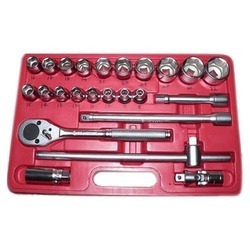 We are superior manufacturer of Bit Spanner Sets, Flat Spanner Sets and Taparia Hex Bit Sockets from Hyderabad. 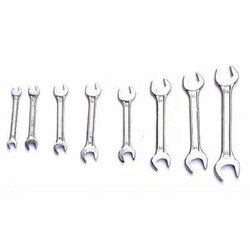 With our rich industrial experience we are engaged in manufacturing of hand Tools, we offer Bit Spanner Sets which well-known in the market for its high quality and smooth finishing. Our offered product is durable in nature and can withstand extreme temperature. Offered product is corrosion resistant which is highly appreciated among our customers. With our rich industrial experience we are engaged in manufacturing of hands Tools, we offer Flat Spanner Sets which is well-known in the market for features and sturdy construction. We offer them in unique designs and different models to meet the diverse needs of our clients. 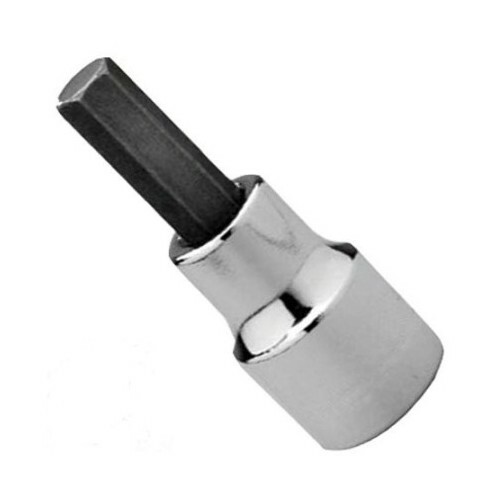 Being well-known in the industry of Hand Tools, we are engaged in manufacturing of Taparia Hex Bit Sockets which are highly demanded by our patrons for their great variety of models and designs. Offered product is also available in required dimensions as per the needs of our precious clients. We offer them at markets best prices.